To check our actual offers in Portoroz, please use the white form above. Just enter the desired dates, time and pick-up/return location. 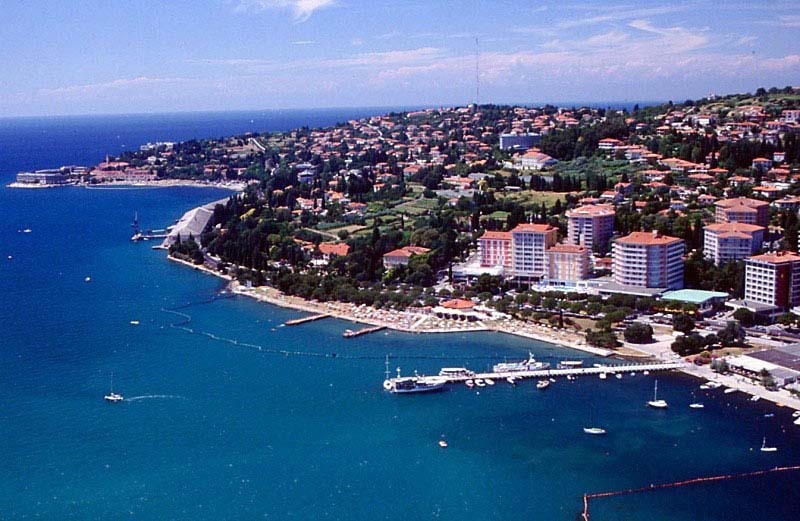 The most recent car booking in Portoroz has been made on our website 3868 minutes ago.. In Portoroz, we offer for rental 6+ car categories from 8+ rental suppliers. Low prices. OrangeSmile.com offers car reservation service in Portoroz on the best-rate-guarantee basis, since we work with car suppliers directly. For your dates in Portoroz, we select and present the best ever possible rental offers. Our car rental process contains 3 simple steps: (1) search for available cars for your dates in Portoroz; (2) select your car type; and (3) fill in the booking forms. When your booking in Slovenia is completed, you will receive our confirmation voucher to your email address. Your reservation in Portoroz should be confirmed by a valid credit card. During the booking process, please check your rental conditions. To pick up your car at the rental point in Portoroz, you need to provide our confirmation voucher, your driving license and a valid credit card. A credit card is necessary for a deposit. In Slovenia, the deposit amount depends on the age of the driver and a type of the rented vehicle. The final payment in Portoroz is normally performed at the pick-up point. Our car hire points in Slovenia accept VISA, MasterCard, etc - please check your rental conditions. At the pick-up point in Portoroz, please read the handling manual and check the car for present defects. In case, if some defects are not mentioned in the rental documents, please report back the rental office. 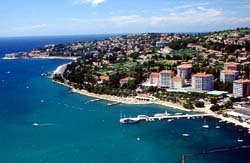 OrangeSmile.com wishes you a pleasant journey to Portoroz! The resort is famous for its first-class casinos, many of which have also acquired the status of historical sites. The most popular casinos and other entertainment facilities can be found on the waterfront. Local gambling establishments are frequented by even those who have never been interested in gambling. Many casinos are remarkable for their rich design, they have a bar where you can relax with a glass of your favorite cocktail and watch gamblers. A lot of interesting cultural events take place in Portoroz throughout the year. For more than 55 years, the resort has remained a permanent venue for holding Forma Viva Open Air Sculpture Collection. Sculptors from all over the world take part in this large-scale event. Many interesting open-air exhibitions, as well as thematic events, are held as part of the festival. According to one tradition, all the sculptures brought by masters from abroad remain in Slovenia after the end of the Collection. Subsequently, they are all used to decorate city parks, including numerous green areas of Portoroz. If you cannot visit the resort during the festival, just stroll through the local parks and admire wonderful sculptures from past exhibitions.